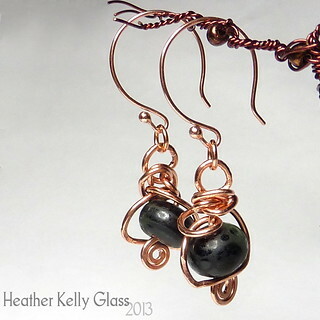 Black lampwork beads and freeform copper wire-wrapping. 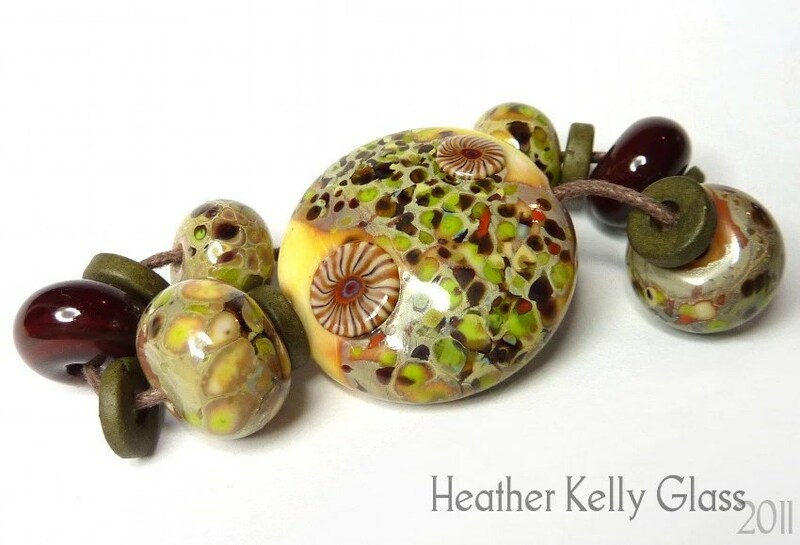 The beads are part etched with faint patterns in the surface – one with stripes, one with dots. 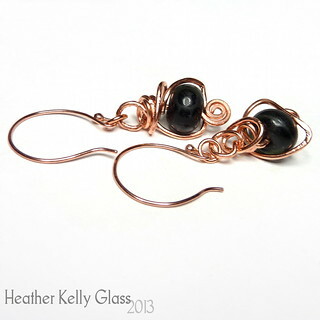 I used chunky copper wire to make a looping frame for them. 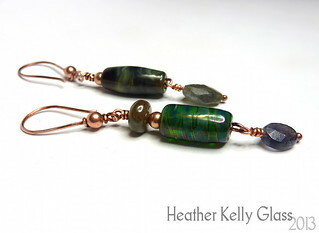 I made rounded copper earwires to go with them. The photo above shows the hanging shape best – the main wire decoration is intended to be on the outside when being worn, so photographing them both together is a little tricky! 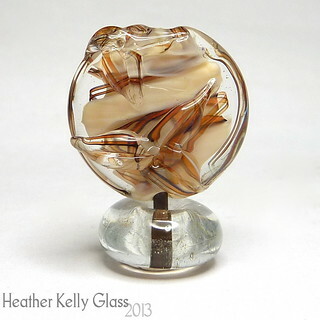 Sterling silver and my lampwork this time. A pair of denim tiger beads from the free tutorial by *Naos* – the little speckles of silver and the stretched blue make me think of gaps into a starry night. 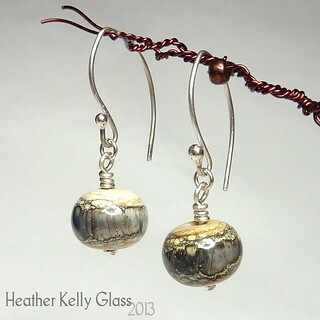 They’re wire-wrapped onto little sterling dangles and have sterling earwires that are somewhat leaf-shaped. 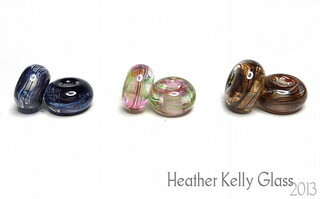 Lots of silver here and some black and white dotty lampwork beads of mine. 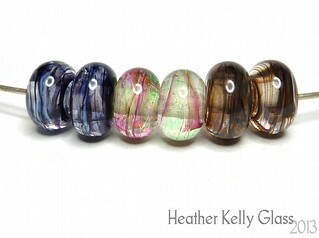 Mirrored-colour dotty beads, oh my! The black in these beads is a slightly shiny metallic black. The silver rings/hoops were by Mizgeorge. 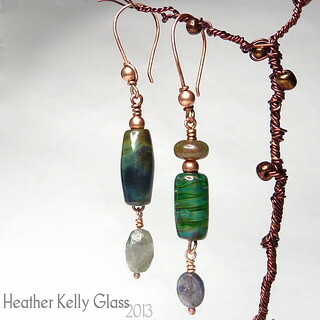 I wire-wrapped my beads to hang from the hoops and made round earwires to go with them. 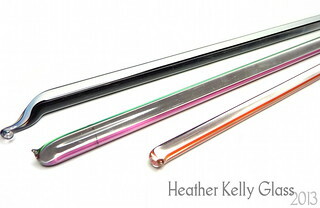 These are striking but also light earrings.